Dr. Vishwanath Dhital Dr. Vishwanath Dhital, Department of Humanistic Studies IIT(BHU) has received the Presidential Award Maharṣi Bādarāyaṇa Vyāsa Sammāna on 04-04-19 in New Delhi conferred by the Vice President of India. Dr. Amrita Chaturvedi, One of her research papers got the "Best paper Award in International conference on Computer Communication & Computational Science(IC4S 2018) at Bangkok, Thialand from 20th to 21st October 2018. Dr. Nand Kishore Prasad, His students have got two poster awards- 1. Advanced in Materials Science in the 72nd Annual Technical Meeting of Indian Institute of Metals held at Kolkata during 15th to 16th November 2018. 2. Best Poster Award in the International Conference on Megnetic Materials & Applications held at NISER, Bhubaneswar during 9th to 13th December, 2018. Dr. Nilay Krishna Mukhopadhyay, Nominated as a Member of the PAC on "Materials, Mining & Minerals Engineering in SERB. Dr. G P S Modi, 1 . Selected as participant to attend Young Investigator Meeting sponsored by Indiabiosciences to be held at 11T Guwahati in March 2019. 2.SERB International Travel Support-2018 to attend EMBO-Chemical Biology Workshop. 3. Invited as a resource person in the faculty development programme held Ashoka Institute of Technology & Management, February, 2018. 4. Admitted as a Member (MRSC) of the Royal Society of Chemistry in December 2017. 5. Outstanding Reviewer 2017, Bio-organic & Medicinal Chemistry, Elsevier. 6. Recognized Reviewer 2016, Bio-organic & I Medicinal Chemistry, Elsevier. Dr. Brind Kumar, Engaged by Inland Waterway Authority for the development of the National Waterway as a safe, economical & sustainable means of transportation. Dr. S.N. Upadhyay, 1 Elected as Fellow of the International Academy of Physical Sciences. 2 Elected as Chairman, Varanasi Local Centre, Institutions of Engineers for the period 2019 to 2021.3 Written a book in Hindi on Fluidization Engineering(published by BHU). Dr. Vikash Kumar Dubey, 1. Appointed as a Member of DBT-NET Scientific & Technical Appraisal Advisory Group(STAG). (Empowerment & Equality Opportunities for Excellence ib Science).2. Include as Special Invitees in SERB- Task Force Committee. Dr. Arnab Kumar Sarkar, 1. Nominated as the Convenor of Indian Standard IS15498:2004 for improving the cyclonic resistance of low-rise houses and other building/structures for CED 57 of Bureau of India Standards. 2. Received Certificate of Excellence for delivering the expert Lecture on "Renewable Energy & Application(REA-2018) from NIT Patna in 2018"
Dr. Nikhil Saboo, 1.Young Scientist in Civil Engineering, Centre for Advanced Research and Design, Venus International Foundation in 2018. 2. Science and Engineering Board (SERB)approved his project titled "Assessing the Suitabilty of warm mix asphalt (WMA) Technology Using Tribologicl and performance Characteristics" under " Early Career Research Awards. Dr. P.K. Mishra, Shrin Gadhia Memorial Sustainabilty Award-2017 from Eco Centre ICNEER, Muni Seva Centre Ashram, Goraj, Vadodara. 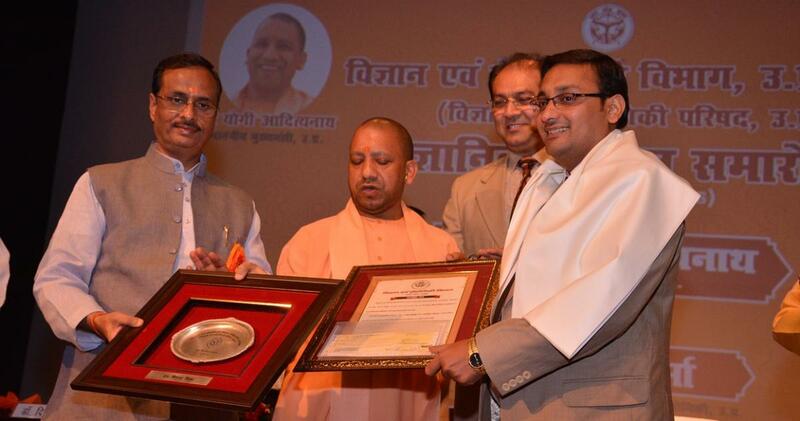 Dr. N. S. Rajput has received the prestigious MHRD's Teaching Innovator Award form the Honorable MHRD Minister, Govt. of India as recognition to the countries top 15 teachers who have significantly innovated the teaching practices in higher education. 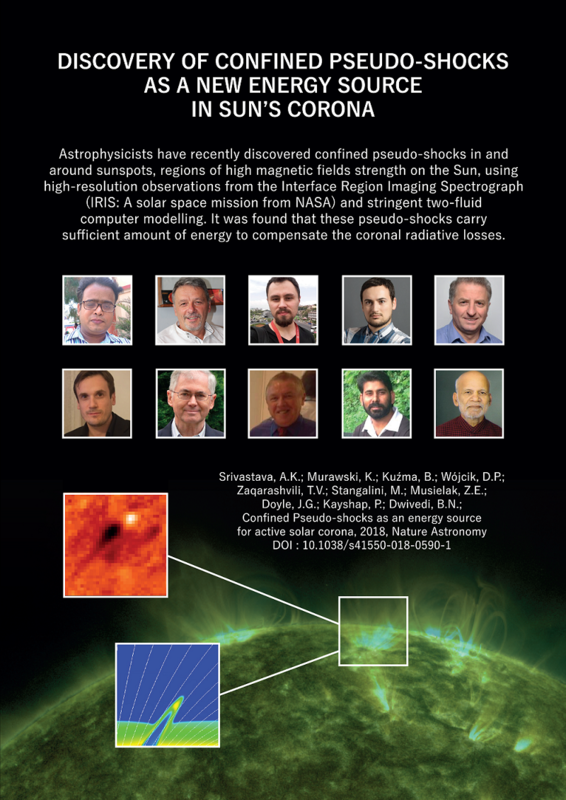 Dr. A. K. Srivastava has lead on "discovering the energetic pseudo-shocks in Sun's atmosphere", and the paper has been published in reputed Nature Astronomy Journ. Dr. B. Mishra, Professor at the Department of Pharmaceutical Engineering & Technology, has been awarded with LIFE TIME ACHIEVEMENT AWARD for his outstanding research contribution in Pharmaceutics Specialization under Pharmaceutical Sciences discipline by Venus International Foundation. Dr. Arup Kumar Mandal, Department of Metallurgical Engineering, Indian Institute of Technology (BHU) have been awarded as an OUTSTANDING SCIENTIST IN METALLURGICAL ENGINEERING under the Engineering Discipline by Venus International Foundation. Dr. Pradip Paik, School of Biomedical Engineering , Indian Institute of Technology (BHU) have been selected as an OUTSTANDING SCIENTIST IN BIOMEDICAL ENGINEERING under the Engineering Discipline. Venus International Foundation. Prof B N Dwivedi accepted the invitation of Dr Richard White Chief Editor, Scientific Reports Nature Research and joined the Editorial Board of Scientific Reports – a Nature Research journal. Prof Vijay K. Srivastava, Department of Mechanical Engineering, Indian Institute of Technology (BHU) has been awarded most prestigious " DISTINGUISHED FELLOW OF ROYAL ACADEMY OF ENGINEERING-2018, BY ROYAL SOCIETY, UNITED KINGDOM ".